THE Lisbon Treaty result has exposed the undemocratic nature of the EU structures. The 1937 Constitution, however, recognises that it is the people and not the government that is sovereign. This underscores the benefits of protecting such democratic principles. I have no doubt that many of the other EU states’ voters would also have rejected the Lisbon Treaty if their entitlement to a referendum had been respected. 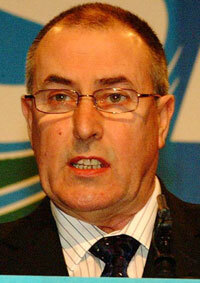 In Ireland, Government and Opposition parties, combined with big business interests and similar vested interests throughout Europe, attempted to push through far-reaching reforms that would have eroded sovereignty and workers’ rights, opened up education and health provision to market forces, and inflicted significant damage to Ireland’s reputation on neutrality and non-alignment. When faced with pertinent questions on the detail of Lisbon, the ‘Yes’ camp replied with patronising retorts such as ‘biting the hand that feeds you’ instead of honest and objective answers. The amount received from CAP and structural funds, etc, was stated regularly to be as much as €50 billion. However, what was never produced were the benefits accrued by our European partners through EU regulations that had an adverse effect on the natural resources of Ireland. For example, during the same period of time, other European countries took over €200 billion worth of fish from Irish territorial waters while our own fishermen were being forced to comply with reducing quota catches. So, rather than ‘biting the hand that feeds us’ it would seem that we were making a substantial contribution to feeding Europe. I would urge all of those who have spent the last two weeks criticising the democratic decision of the Irish electorate to use their influence and energy to now ensure that the voters are listened to and their concerns are addressed. Our political representatives in Europe need to show the same confidence, courage and resolve while getting a better deal that the electorate showed in rejecting this treaty. It must be impressed on EU leaders that the same respect must be paid to the concerns of the population of the Irish state and other small nations as is given to larger member states of the EU. Irish fishermen, farmers and workers have made a massive contribution to the EU. The Irish Government must stand tall in Europe by demanding that the views of Irish voters are treated with respect and equality rather than colluding in the undermining of democracy in the expanding EU.